A fun, illustrated how-to guide to help kids teach their dogs tricks, written by the expert animal trainer who has worked on the Harry Potter movies, Game of Thrones, and more! Superstar Dogs is a how-to guide for kids to teach their dogs a wide range of easy and fun tricks, catering to all shapes, sizes, and personalities. Julie Tottman is the animal trainer behind a whole host of major Hollywood blockbusters--from the Harry Potter franchise to Lassie, The Dark Knight, 102 Dalmatians and, most recently, Game of Thrones. Each trick is broken down into easy step-by-step instructions, with helpful tips and advice accompanied by fun black and white illustrations. 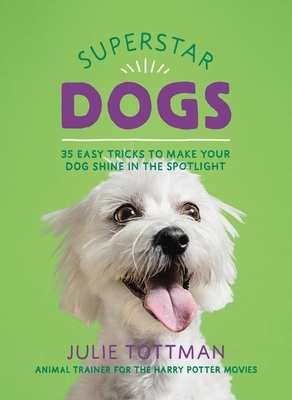 There is space to record your dog's progress, and Tottman even shares some of her Hollywood memories along the way.